The Arctic is rapidly warming, with stronger effects than observed elsewhere in the world. The Arctic regions are particularly important with respect to climate change, as permafrost soils store huge amounts of the Earth's soil carbon (C). Warming of Arctic soils and thawing of permafrost can have substantial consequences for the global climate, as the large C stored in soils could be released to the atmosphere as the greenhouse gases carbon dioxide (CO2) and methane (CH4). The release of these heat-trapping gases, in turn, has the potential to further enhance climate warming. Determining whether the Arctic is continuing to take up carbon from the atmosphere or instead releasing it to the atmosphere is an urgent research priority, particularly as the climate warms. 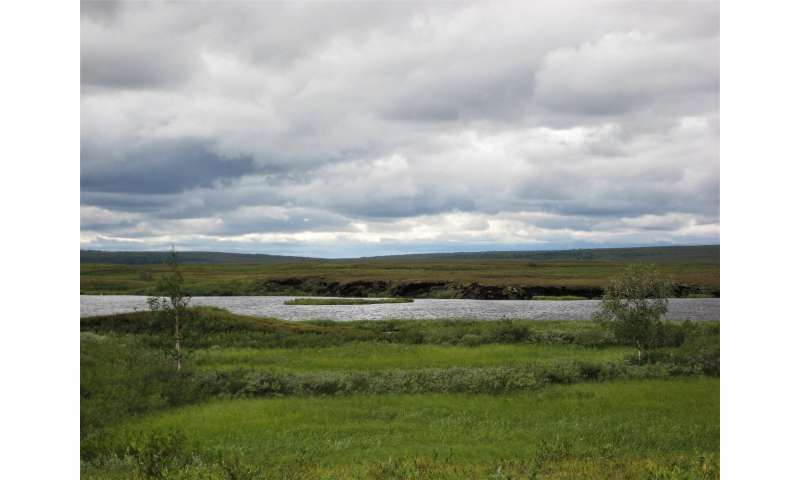 A new study by researchers at the University of Eastern Finland now provides the first estimate of regional carbon budget for tundra in Western Russia for the 10-year period from 2006 to 2015. The researchers found that over the past decade, the region has likely remained a net carbon sink, sequestering atmospheric CO2 through plant uptake and growth. This signal varied little between all the years and was particularly strong in wetlands, which were "hotspots" for carbon uptake. Wetlands are also "hotspots" of methane emissions in the region, making the identification of wetlands essential for determining the regional carbon budget. However, it remains challenging to determine the area of tundra wetlands at broader scales because they can be difficult to identify from satellite images, requiring many measurements on the ground to verify their locations. "In many major research projects, a synthesis of the data collected by using models is always left to be done in the last phase. Owing to time limitations, this important task generally remains unaccomplished. To that end, we are proud that this work signifies an important achievement," Dr Narasinha Shurpali from the University of Eastern Finland says. The results, based on model simulations with various ecosystem models, were recently published in Global Change Biology – a leading journal in environmental science.